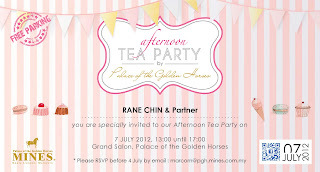 In commemorate with 5000 fans on Palace of the Golden Horses (PGH) Facebook page, PGH had treated 100 fans to an exclusive afternoon tea party in appreciation for our loyal support yesterday, yay! There were games, lucky draws and best dressed awards. No luck for me in the lucky draws and Q&A games. Indeed the 2nd prize in the lucky draw was no. 1241 while I was hoping so much that it was 1242. I missed a night stay at Palace of the Golden Horses just for one digit different like that. Lucky I took part in the Amazing Race at the very last minute with teammate Jess, Juli, Eric, and Justin, and we formed the Golden Horse 2 team. We ran like mad women with bare foot around the Palace of the Golden Horses, I hope no one has taken any pictures or videos of our crazy movements though lol. After the running around and sweating like cow, guess what, our team has won the 1st prize in the Amazing Race game, yay! Each of us won an exclusive PGH thumb drive, a 2GB iPod shuffle and a 2D1N stay in a Deluxe Room with breakfast for 2!!!!! Thanks to Palace of the Golden Horses for her generosity. 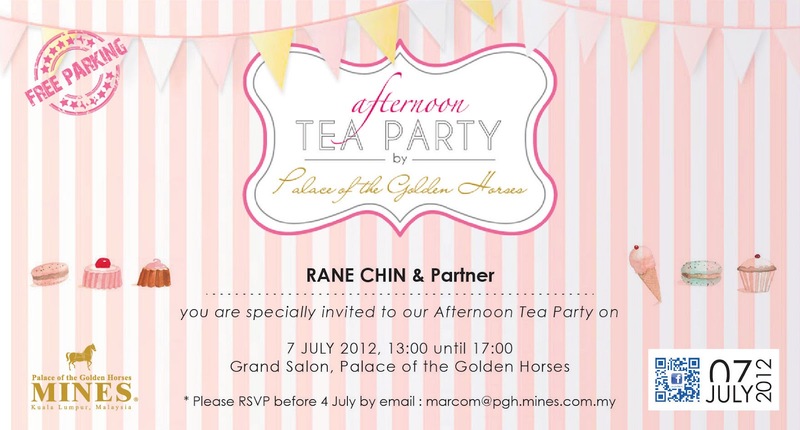 I believed all of the fans have enjoyed the afternoon hi-tea very much and looking forward to another event like this. Congrats to your team I didn't stay till end as darling come get me and son.